It seems like fluff is all the rage right now! There is Pina Colada fluff, berry cheesecake fluff and my personal favorite Easy Pineapple Orange Fluff . If you have never had it than you probably don’t understand what all the fluff is about…pun intended. 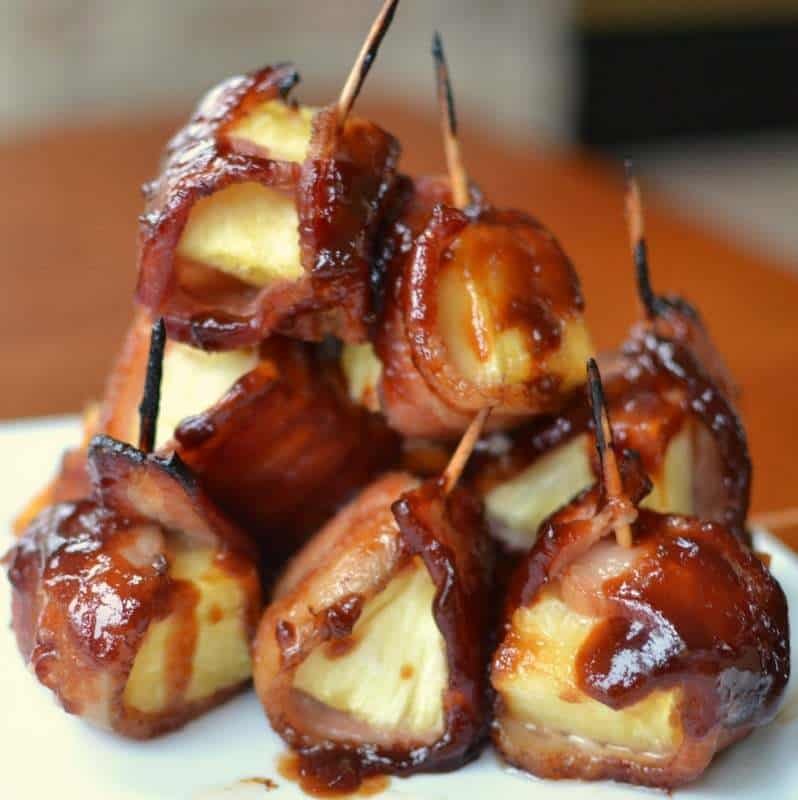 It is so delicious and so incredibly easy that even your kids can whip this one up. In fact my son put this together. 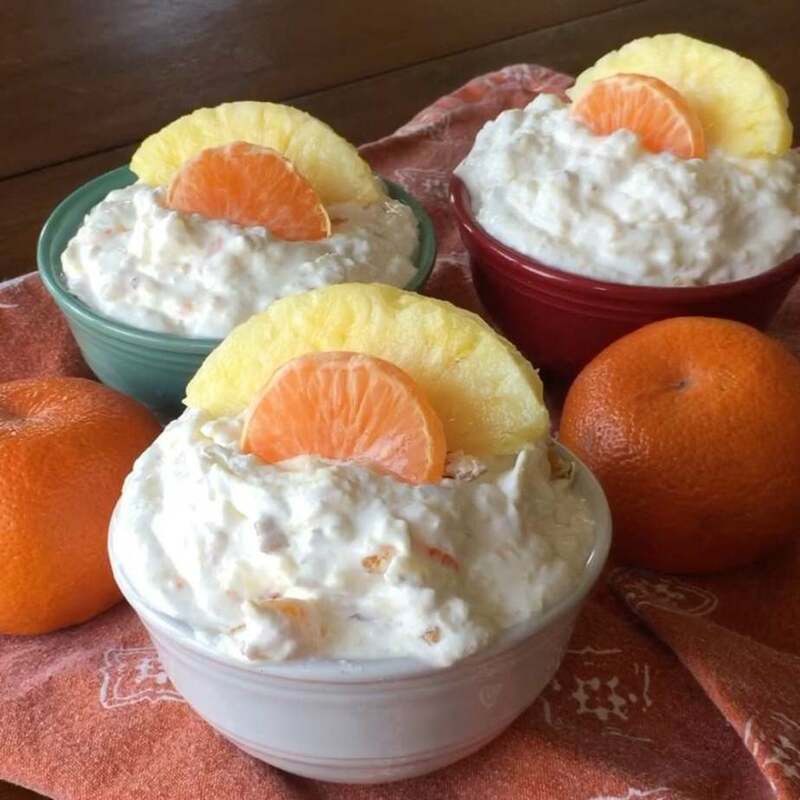 We were getting ready to make the video for this recipe but my hands were so beat up from the cold and dish soap so my son gladly volunteered to make the recipe for the video. I am tickled pink (one of my late Mother’s sayings) to have my kids involved in the blog. He did a fine job if I say so myself! He is slowly learning the art of folding in ingredients, cracking eggs and using various kitchen gadgets. I will make a Wolfgang Puck out of him yet. 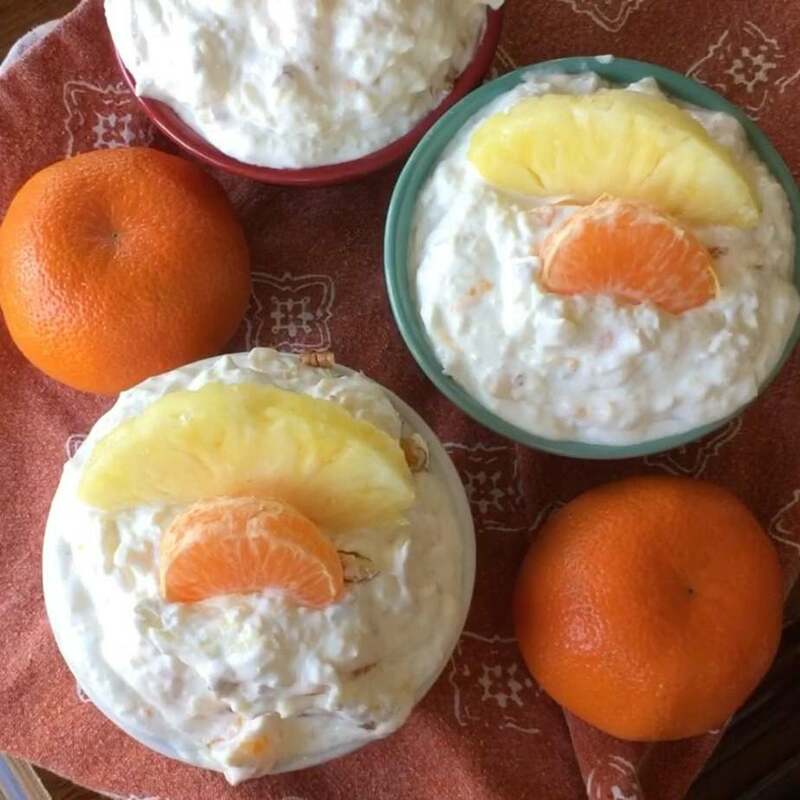 This seven ingredient Easy Pineapple Orange Fluff combines pineapple, oranges and pecans in a lightly sweetened pillow of whipped topping and can be made in less than five minutes. It is so kid friendly and holds up well. It is difficult to photograph but it sure does taste delicious! 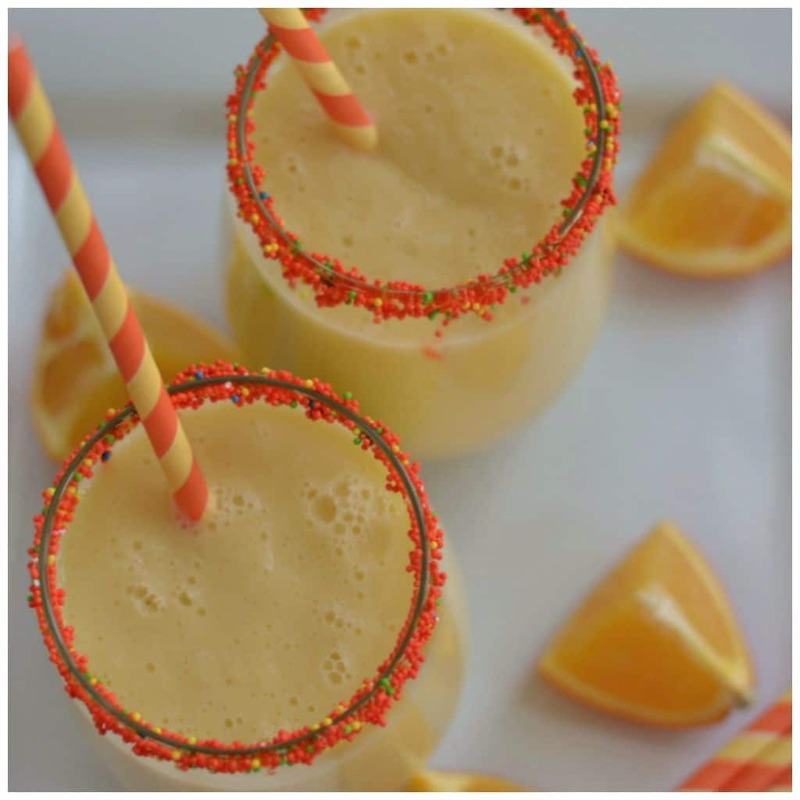 So folks if you haven’t tried the fluff than this Easy Pineapple Orange Fluff has your name written all over it! Put it on the list today. You are going to love it! 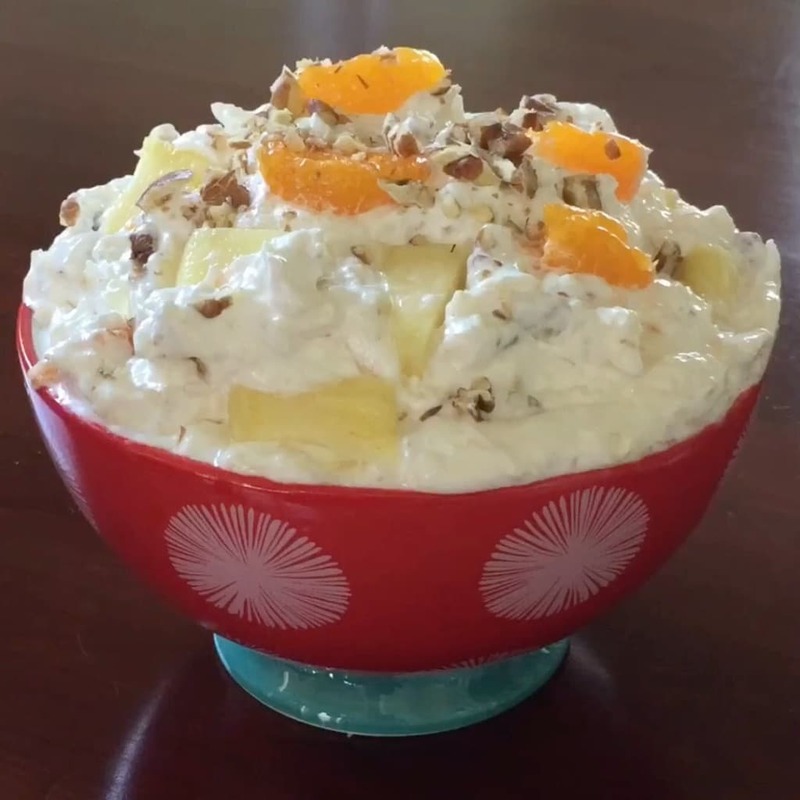 If you like this you will also love this Ambrosia Salad! 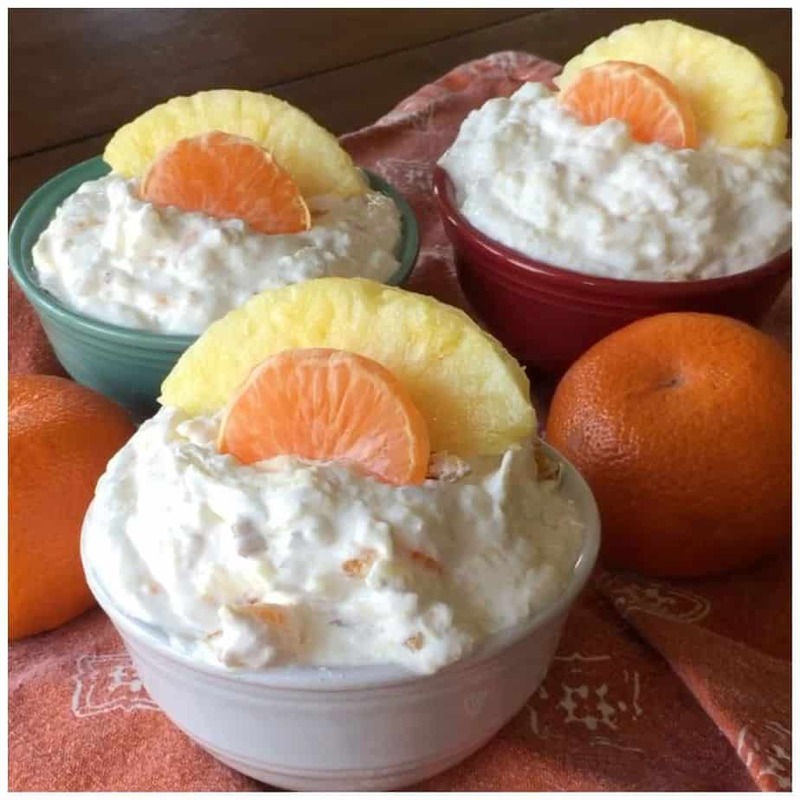 In large bowl mix Greek yogurt, orange extract and sugar. Add mandarin oranges, pineapple and pecans. Fold in whipped topping. Refrigerate any leftovers.